As human beings we have words to communicate with each other, to share what is happening inside of us and to express who we are. Essentially what we are is truth and ideally what we speak is a reflection of this truth. It’s the truth that sets us free. But due to old conditioning and fear we often end up saying things (or NOT saying things) and rather move around the truth instead of speaking it and thus create a lot of confusion within our communication. In Kundalini Yoga we make use of a short powerful mantra that helps to set us free and realign ourselves to truth. It is actually the most common used mantra in all Kundalini Yoga classes and it is even used as a way to greet each other, the mantra ‘Sat Nam’. Let’s take a deeper look into what this mantra means and how it works. Please note that in order for this mantra to be effective you do not even have to understand the meaning of the words, since its the vibration of the sounds that will do the work anyways, but understanding the meaning of the words adds another layer of effectiveness to the mantra. 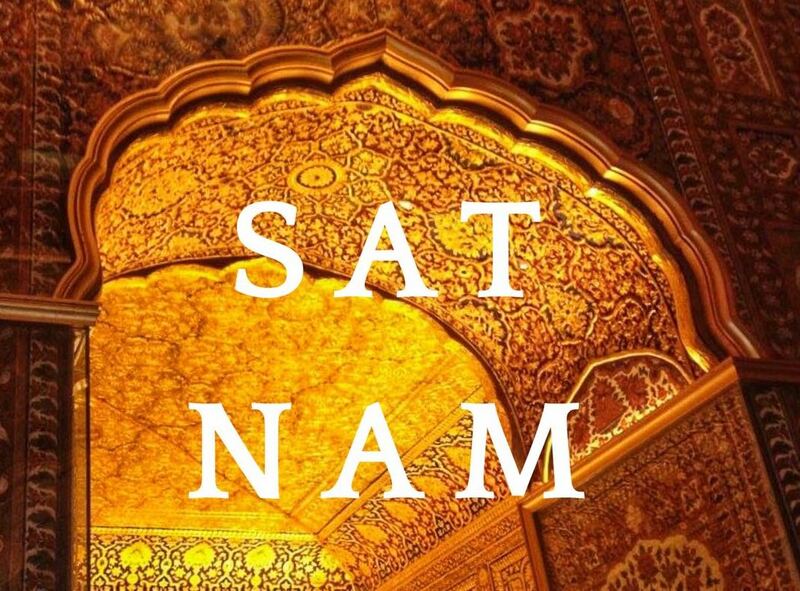 The mantra Sat Nam are words in Gurmukhi, a sacred Indian language and they contain the vibrations of peace, truth and connection. Sat means Truth and is an etheric sound, Nam means name or identity and has a grounding vibration. The mantra is an acknowledgment of how the unmanifest Infinite has been made manifest in this world. Chanting it is a way to reach for the vibration of Infinity and bring it into your awareness and experiencing it right here in the three dimensional world of matter. It could be translated into ‘Truth is my name’ or ‘The essence of God/the Divine is in me’. It attunes you to your infinite identity. Sat Nam is a beej mantra, beej means seed. A beej mantra contains all the knowledge like a tiny little seed contains everything to eventually become a fully grown tree. Beej mantras are powerful (short) sounds that reorient the mind, rearrange habit patterns of the subconscious mind and can thus invoke transformation. Beej mantras directly work on that part of the mind that regulates habits. Their sounds eliminate mind patterns that are in a lower vibration and replace this with a higher frequency, the frequency of truth, not a personal truth but a Universal truth. Pronouncing SAT NAM is like watering the seeds of truth in our consciousness and encouraging us to wake up to the truth of who we really are, our divine identity. Just like a tree needs time to grow and get its roots firmly into the ground, with our stubborn minds most of us need consistent practice of a mantra to let its effects take root in our mind. That’s probably why the mantra Sat Nam is being used so much. Often in Kundalini Yoga exercises we are Inhaling Sat (truth), exhaling Nam (name, identity). Mentally chanting the mantra Sat Nam, awakens your soul and gives you your destiny. Each and every repetition we link ourselves to our divine essence, every repetition we plant the seeds of universal truth in our consciousness. So it’s really worthwhile to work with this mantra in combination with your breath, it gives direction to your mind, it redirects you towards your true self instead of getting lost in stories, in illusions. Sat Nam wakes you up to your infinite identity out of your identification with your finite identify, the root cause of all suffering. In the Online Guided Sadhana ‘The Power of the Word’ we work with the mantra ‘Sat Nam’ as part of our daily practice. For 22 days we are deeply looking into the power of words and become aware of how we create our lives through what we say. Words are like seeds you plant in the present moment that will eventually become your future. Is what you say truly what you want to put out there? We offer you the chance to discover, reflect, understand and grow your awareness with daily guidance and Kundalini Yoga.